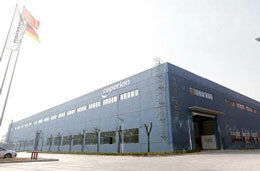 Germany-headquartered extrusion machinery maker Coperion (Nanjing) Machinery recently opened a new facility in the Nanjing Jiangning District. The plant opening marked the completion of the new construction and the relocation from the old plant to the new one. The move was necessary as the old site in Nanjing Jiangning District was rezoned by Nanjing Jiangning Government for future R&D and commercial development. With the support of the Government of Jiangning Economic & Technology Development Zone, Coperion was able to find a new plant for manufacturing and production purposes nearby. Construction work started in May 2014 and was finished in June 2015. With a footprint of more than 15,000 sq m, the new production will continue to focus on manufacturing the STS and CTE twin screw extruder series. In order to serve Coperion’s manufacturing needs, the new building is designed with advanced machinery production technology with engineering and manufacturing know-how from Coperion Stuttgart, Germany and an optimised, tailor-made workshop layout for efficient production. She also mentioned Coperion’s 15-year history in China and talked about how Coperion Nanjing has grown from just a few employees in 1997 to almost 400 today.